Lady Isabel Neville (5 September 1451 – 22 December 1476) was the elder daughter of Richard Neville, 16th Earl of Warwick (the Kingmaker of the Wars of the Roses), and Anne de Beauchamp, 16th Countess of Warwick. She was the wife of George Plantagenet, 1st Duke of Clarence. She was also the elder sister of Anne Neville, who was Princess of Wales by her first marriage and Queen consort of England by her second. Isabel Neville was born at Warwick Castle, the seat of the Earls of Warwick. In 1469, her ambitious father betrothed her to England's heir presumptive, George Plantagenet, 1st Duke of Clarence, the brother of both King Edward IV and Richard, Duke of Gloucester (later Richard III). The king opposed the marriage as it would bring the already powerful Earl of Warwick too close to the throne. However the ceremony took place in secret at Calais on 11 July 1469, conducted by Isabel Neville's uncle George Neville, archbishop of York. Following their marriage Clarence joined forces with Warwick and allied with the Lancastrians led by Margaret of Anjou, queen consort to Henry VI. After Isabel Neville's sister Anne was married to Edward of Westminster, Prince of Wales, the son and heir of Henry VI, Clarence rejoined his brother, realizing that it was now unlikely that he would become king. No name (c. 17 April 1470), born outside Calais. Died at sea. Identified by some sources as a girl named Anne, and by others as an unnamed boy. 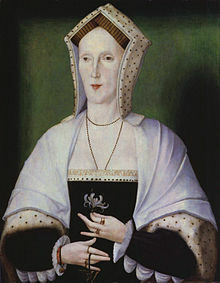 Margaret Pole, 8th Countess of Salisbury (14 August 1473 – 27 May 1541). Married Sir Richard Pole; executed by Henry VIII. 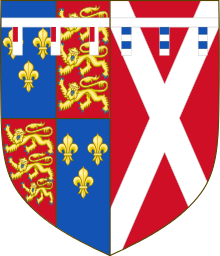 Edward Plantagenet, 17th Earl of Warwick (25 February 1475 – 28 November 1499). Executed by Henry VII for attempting to escape from the Tower of London. Richard of York (6 October 1476 - 1 January 1477), born at Tewkesbury Abbey, Gloucestershire, died at Warwick Castle, Warwickshire, buried Warwick. "That whereas the said Ankarette on Saturday, 12 April, 17 Edward IV [i.e.1477], was in her manor at Cayford [i.e. Keyford, Somerset] and Richard Hyde late of Warwick, gentleman, and Roger Strugge late of Bekehampton, co. Somerset, towker, with divers riotous persons to the number of fourscore by the command of George, duke of Clarence, came to Cayforde about two of the clock after noon and entered her house and carried her off the same day to Bath and from thence on the Sunday following to Circeter [i.e. Cirencester], co. Gloucester, and from thence to Warwick, whither they brought her on the Monday following about eight of the clock in the afternoon, which town of Warwick is distant from Cayforde seventy miles, and then and there took from her all her jewels, money and goods and also in the said duke's behalf, as though he had used king's power, commanded Thomas Delalynde, esquire, and Edith his wife, daughter of the said Ankarette, and their servants to avoid from the town of Warwick and lodge them at Strattforde upon Aven that night, six miles from thence, and the said duke kept Ankarette in prison unto the hour of nine before noon on the morrow, to wit, the Tuesday after the closing of Pasche [i.e. Easter], and then caused her to be brought to the Guildhall at Warwick before divers of the justices of the peace in the county then sitting in sessions and caused her to be indicted by the name of Ankarette Twynneowe, late of Warwick, widow, late servant of the duke and Isabel his wife, of having at Warwick on 10 October, 16 Edward IV., given to the said Isabel a venomous drink of ale mixed with poison, of which the latter sickened until the Sunday before Christmas, on which day she died, and the justices arraigned the said Ankarette and a jury appeared and found her guilty and it was considered that she should be led from the bar there to the gaol of Warwick and from thence should be drawn through the town to the gallows of Myton and hanged till she were dead, and the sheriff was commanded to do execution and so he did, which indictment, trial and judgment were done and given within three hours of the said Tuesday, and the jurors for fear gave the verdict contrary to their conscience, in proof whereof divers of them came to the said Ankarette in remorse and asked her forgiveness, in consideration of the imaginations of the said duke and his great might, the unlawful taking of the said Ankarette through three several shires, the inordinate hasty process and judgement, her lamentable death and her good disposition, the king should ordain that the record, process, verdict and judgement should be void and of no effect, but that as the premises were done by the command of the said duke the said justices and sheriff and the under-sheriff and their ministers should not be vexed. The answer of the king was: Soit fait comme il est désiré ("Let it be done as the petitioner requests")". The Duchess bore the arms of her husband, George, Duke of Clarence, impaled with her father's. Quarterly 1st and 4th, France ancien, 2nd and 3rd England, with a label of three points Argent each point charged with a canton Gules (York); impaled with Gules a saltire Argent, a label of three points gobony, Argent and Azure (Neville). She is also portrayed by Eleanor Tomlinson in the television mini-series The White Queen (2013) by Starz Media. ^ Commynes, Philippe de; Roye, Jean de (1856). The Memoirs of Philippe de Commines, Lord of Argenton: Containing the Histories of Louis XI and Charles VIII Kings of France and of Charles the Bold, Duke of Burgundy to which is Added, The Scandalous Chronicle, Or Secret History of Louis XI, by Jean de Troyes. Henry G. Bohn. p. 164. ^ "European Heraldry :: Wars of the Roses". Europeanheraldry.org. Retrieved 8 October 2016. ^ Pinches, John Harvey; Pinches, Rosemary (1974). Royal Heraldry of England. Heraldry Today. p. 352. ISBN 090045525X. This page was last edited on 28 March 2019, at 19:31 (UTC).